Learn how to apply, remove, and store our facial hair pieces in this video series with one of our professional wig stylists. Each year, more and more cities, states, and organizations choose to recognize the Native Americans who were the first inhabitants of the land that later became the United States of America. The holiday was first instituted in 1992 in Berkeley, CA on the 500th anniversary of of the arrival of Christopher Columbus in the Americas in 1492. It later spread to Santa Cruz, CA and has gone onto be recognized as a holiday in over 50 cities and counties across the United States. 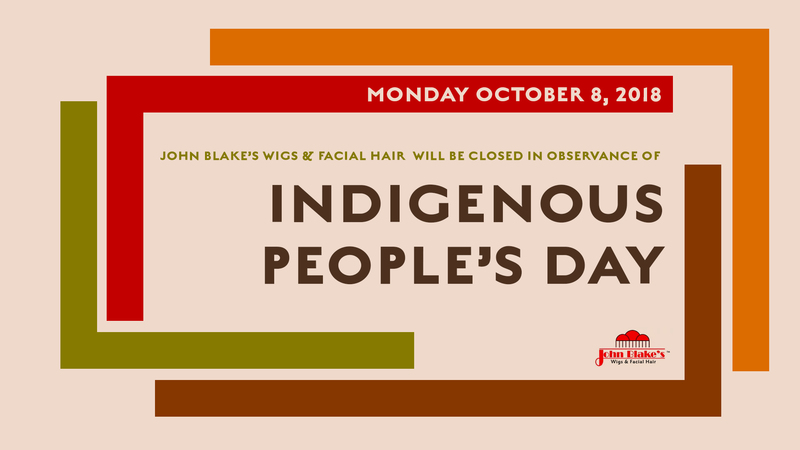 Our West Hollywood studio will be closed in observance of Indigenous People’s Day on Monday October 8th. Orders placed online will be processed starting on Tuesday October 9th. Please plan accordingly and contact us if you have any questions. We only put our products on sale twice a year and our first sale of the year is coming up on Independence Day! Save 30% on our products. Fill in your kit with discounted wigs and pieces at unbeatable prices. 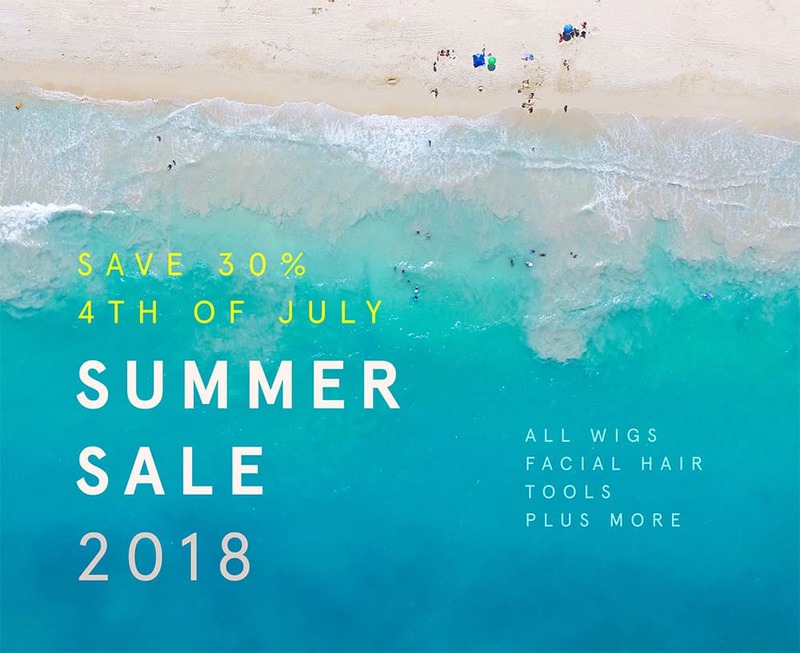 You now have the opportunity to get our film quality, human hair & synthetic wigs + facial hair for 30% off at the John Blake’s Wigs & Facial Hair annual Summer Sale on July 4th. The sale will run from 12:00AM to 11:59PM Pacific time. This sale offer does not combine with any other offers. For more information about our annual Summer Sale, call our customer care staff on (855) 452-9447 or write to us on info@johnblakeswigs.com.